If you’re a Blogger or a Internet marketer or even a beginner then you already know that it’s POSSIBLE to make money online. And what’s interesting about it is that, there are a lot of ways to make money online – from selling ads, e-books, affiliate marketing, freelance writing, pod casting, consulting, designing, coding, etc. So I’m going to highlight some of those online income streams but don’t expect overnight success because creating an income stream requires a lot of work and patience. But if you are a beginner and clueless about where to start then this should help you to focus on that. If you have any trouble with any of these options then leave a comment below or you can e-mail me and I’ll do my best to find the best resource to help you. Do you have a website or a blog? If so, then then selling advertisements is the easiest way to make money online. Since there are tons of ad networks on the Internet you have to make sure that you choose the best ad network to maximize the revenue. But if you can create your own products then it’s the best way to make money because that way you’re actually building a passive income stream online. You can use your own blog or website to market your products so that people will buy it when they’re convinced. Advertising networks can be Cost Per Click (CPC), Cost Per Mille (CPM), or Cost Per Action (CPA). A Cost Per Click network pays you each time a user clicks on your ad and the actual amount that you’ll get is determined by the advertiser. Now a Cost Per Mille network or simply a Cost Per Impression network pays for every 1,000 page views that you generate. If they pay $1 for every 1,000 page views then you’ll get $30 if the number of page views a month is 30,000. Now I’m going to list some of the popular ad networks in each category. If you’re looking for a comprehensive list then check out 24 Google AdSense Alternatives for more CPC and CPM networks and also check out the Top 10 Affiliate Networks for more CPA networks. You can always sell ads directly when someone wants to buy a banner ad, or text links, or even a sponsored post on your blog. But if you’re not lucky enough then you have to become a part of a bigger network where you can showcase your ad inventory. You have a website or a blog which is getting good targeted traffic but don’t know how to monetize it? Then you can try the following automated affiliate marketing networks. It converts all the normal links in your website to affiliate links and you make money when clicks result in sales or leads. So by joining these networks you’ll get access to thousands of affiliate programs without applying individually and you don’t have to manage any affiliate programs or links or anything as they offer a centralized reporting as well. If you like a product then obviously you write about it, tweet about it, and tell your friends, right? Now how about getting paid for that? That’s right! If you check the websites of most Internet companies (others too) then you can find their affiliate program. So you can use the affiliate links while promoting their products and they’ll pay you for referring new customers to them. They may have their own in-house affiliate program, or one that is managed by an affiliate network, or both. If you have a good quality website then advertisers will try their best to buy a text link or a sponsored post from you. But wait, selling text links is against Google’s Webmaster Guidelines and they may ban your website from its search results unless the links arerel=”nofollow”. 46. Written – license your content and make money. If you have loyal traffic then it’s a good idea to start a newsletter so that you can engage with your readers in a more friendly way. And it’s also one of the best way to market your products since people usually don’t buy your product when they first visit your website/blog for the first time. 47. MailChimp – design and send email marketing campaigns. Content is King on websites. Content is often outsourced so if you have got good writing skills then you can make a living writing online. Here are some content marketplaces where you can sell your content. If you’re a professional writer then you can contribute content to some of the top content provides like Yahoo!, AOL, About.com, etc. and get upfront payment. 64. YouTube Partner Program – Upload videos on YouTube and make money from ads. 65. Break – You can earn up to $600 if your Video is featured on Break.com homepage. 66. Dailymotion Publisher – Share Dailymotion videos on your website, blog and social profiles and get a share of their advertising revenue. 67. Dailymotion Official – Upload videos on Dailymotion to earn advertising revenue. And you earn extra revenue when those videos are shared on your own websites, blogs, social profiles, or any third-party websites. 68. Vimeo – Make money sharing videos on Vimeo. Now you can offer your micro service online and get paid for it. You post what you’re willing to do for $5 or even $50 and get paid when you deliver the work. It’s that simple! Try any of the following freelance marketplaces to find freelance jobs or to sell your service. You can become a virtual assistant, manage the social media profiles of a company/person, design a website, design a logo, offer translation, etc. 82. Clarity.fm – If you’re an expert in some field and can give expert advice then you can charge advice seeking users by the minute. 83. UserTesting.com – UserTesting.com pays you up to $15 per test to evaluate websites’ usability and clarity. 84. uTest – uTest compensates testers for approved reports they submit. Today, online marketplaces are extremely popular and you can sell almost anything online. 92. BrandBucket – Sell your brandable domain names. 100. Etsy – Sell all things handmade, vintage, and supplies. 101. Quirky – Got an innovative idea? You can sell it on Quirky and make money. 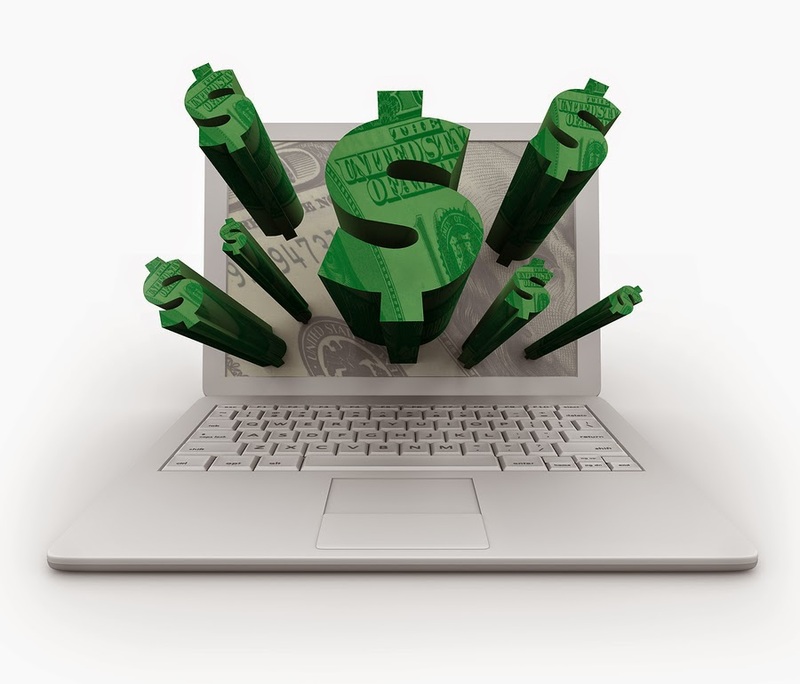 Of course, there are hundreds of other ways to make money online. I haven’t included the not so easy ways to make money online like selling your apps or music or movies on iTunes, Google Play Store, Windows Store, Amazon etc.